Ten years ago we wouldn’t be having this conversation. Yes, and in 2018 scope manufacturing and technology has moved at such a rapid pace it’s actually possible to buy a great rimfire rifle scope for under $100. You can now find affordable rifle scopes with adjustable objective lenses, multi-coated lenses that allow optimal light transmission, great magnification, and a whole host of other features, all for under $100. There are a lot of optics under $100. But most are not good optics. Buying a rifle scope under $100 is for people who are either first time hunters/shooters, people who don't plan on doing a lot with their shooting/hunting, or people who are on an extreme budget and don't mind repurchasing a new rifle scope every 2 years. If you are buying your first hunting rifle scope or a rifle scope for your 22 long rifle and don't want to spend a lot of money then I can relate. It is always tough buying a $400+ rifle scope when all you plan on doing is spending time at the shooting range or varmint hunting. One of the most popular and most significant technological advances in rifle scopes is in AR red dot sights or those for the AR platform. There are a lot of quality AR red dot sights on the market for under $100! If you are looking for the best budget rifle scope, you have come to the right place! Thankfully, I have put together Top 6 quality reviews of the best hunting rifle scopes for the money under $100. Why didn’t I include the Tasco Mil Dot, the Monstrum Tactical S330P, or the BSA Sweet .22 3-9x40mm in my Top 6 list of best rifle scopes under $100? 2. Bushnell Banner 4-12x40mm Dusk & Dawn Multi-X Reticle Adjustable Objective Riflescope - Best Scope under $100 for long range shooting. I’ve had some people ask me why these 3 scopes didn’t get on the list for top rifle scopes under $100, especially the BSA Sweet .22 3-9x40mm, as the BSA Sweet is a good budget scope under $100. After reviewing them, here’s why. The reticles had some problems with all of these scopes. They would all move inside the scope after a 200 rounds or so. The quality wasn’t as great as the others that made the Top 6. Eye relief on all of the scopes weren’t that great either. Yes, these are budget scopes under $100, but they should still last more than 200 rounds. With these optics, I feel like you aren’t getting the same quality that other scopes have. It’s about finding the BEST rifle scope under $100 for the money. Honestly, most rifle scopes under $100 are similar to these 3 scopes. Poor quality, budget scopes that won’t last a very long time. Like I said, I went through a lot of different budget scopes under $100 to finally find the top 6 and I think you’ll be happy with them. The main thing to consider is durability and function. Lots of scopes under $100 come with all sorts of features including variable magnification, illuminated reticles, red dot/laser sights, and large objective lenses – but does that mean that the more features you can pack into a scope the better? The answer to this question is definitely, no! For under $100, it is hard to pack all these things into a scope while focusing on durability and quality. For a scope at this price range, I would suggest avoiding anything with a 50mm objective lens or bigger and avoid anything with an illumination (except for the CVLIFE which I'll explain why later). For the most part, these types of features are just too difficult to offer for in a scope under 100 dollars. I have even mounted a fixed magnification scope on my .22 LR bush gun which I love shooting at the range under 100 yards. Do your research! Ask fellow gun enthusiasts for their opinion. I am trying to give you my thoughts based on my experience and testing of a lot of different budget scopes in this article, but there is nothing wrong with talking to others. In addition, talk to your buddies about their scopes. I would imagine that you could buy used rifle scopes for under $100 from them which would be ideal! Bushnell makes some great scopes and has tried to accommodate those in a lower price range by making budget optics and rifle scopes that cost less than $100 while maintaining good quality. The Bushnell TRS-25 1x25mm is both light weight and small. This is especially great for tactical use or if you need more mobility. It weights less than a quarter of a pound and is about 2.5" in length. At this size you could probably use it for a handgun as well! The TRS-25 is ​battery powered and comes with the batters when purchased. It's advertise to be able to last 3000+ hours of battery life, which is plenty. It also comes with a rainguard and you can buy it in either black or camo (camo cost about ﻿﻿$20 more)​. It's a 3 MOA red dot sight and compares very well with scopes that are much more expensive (like the Aimpoint or EOTech) That's what allowed this scope to become #1. It's by far the best rifle scope under $100 for the money. As I was testing it out, I seriously couldn't believe how small it was. You don't get a sense of its size until you actually see it in person. With the sight being so small, I was concerned that it wouldn't be sturdy or well-made, but that wasn't the case at all. It's well built (as I would expect from Bushnell) and I was very impressed by the fact that it hardly adds any weight to the firearm. ​This Bushnell optic is also very durable. I tested the scope out at the range on my Smith & Wesson M&P .22LR AR-15. It was super easy to equip and the mounts held very snug. I sighted it in at 50 yards (as I would likely use this for closer range shooting) and put around 200 rounds through it. It was extremely easy and held zero, something that I definitely worry about in this price range. Let’s be clear here. This is NOT an Aimpoint or EOTech. This is an inexpensive red-dot that punches way above it’s weight class. With that being said, it’s not perfect. If we are going to compare it to the Aimpoint or EOTech ($700 range) the battery life on the Bushnell isn’t even close to the Aimpoint, and pretty close to EOTech. The brightness/power knob is hard to turn and the windage and elevation controls feel cheap. Overall, what a great scope under $100. If you are getting this sight and expecting it to match the quality of a scope in the $700 range, then save up and get the real thing. But if you are looking for something that is a fraction of the cost, made very well, holds zero as it should, has great glass, and it durable, The Bushnell TRS-25 will work just fine! I have used about every Red dot sight on the market, and for the money this is the sight to get, especially at closer ranges. Glass is very clear and crisp. Only recommended for closer to mid range shooting. The red dot is not a crisp dot. The Bushnell Banner 4-12x40 is one of the most popular, economical optics around. Bushnell scopes rarely have problems, even when paying bottom dollar prices because Bushnell does a great job at making quality scopes. This scope offers an exceptionally crisp and clear viewing image and holds zero even on the .308 win we tested it on. Built for hunters who want a scope for all conditions, especially low light conditions including dawn and dusk, this is scope rates highly in my books. For the money, this rifle scope will not disappoint. The other reason why I like this scope is that for under $100, it is great as a backup for your centerfire. All Banner optics are coated with Bushnell's proprietary Dusk & Dawn Brightness (DDB) multi-coating process which offers the brightness and clarity needed to hunt in those low light environments. After about 100 rounds at the range, I always test to see if it keeps zero, which it did. Passed. ​Now it was time to take it hunting. I'e always wanted to hunt wild hogs, but never got the chance, so me and a buddy when to Nebraska and, in short, got myself a wild hog; a clean kill at 200 yards. It was very accurate and was extremely happy with how the optic performed. At 18x the scope has a hard time focusing and is a little blurry. The eye relief is also a little tight at this magnification power as well. But at 14x or below, it’s very clear and quick to focus! Overall, for the price, I couldn't be happier with the Bushnell Banner. Bushnell makes some high quality products under $100 and both the Bushnell Trophy and Bushnell Banner made my top 2 of my Top 6 list for best rifle under $100. They are both different scopes for different uses so depending on what you want to use it for, I would recommend either one. In short, I highly recommend this scope. As soon as you use the Bushnell Banner you will probably wont another one for your other rifle. This is definitely one of my favorites because it is so compact and great on a .22 long rifle or an AR-15 and even suitable for larger calibre rifles. ​Leapers, Inc makes UTG optics and UTG has a long history of producing numerous products for both tactical and hunting situations. In the past you would never know if the scope you were getting was going to be a quality made one or not, but they have since streamlined their process and now make high quality scopes in every price range. The UTG Bug Buster is a great scope under $100. In my evaluation of the scope, I felt like the optic was surprisingly compact and quite short for its magnification. This is definitely a plus for mobility or if you are in situations where there is limited space. Note that this scope requires batteries for the dual red and green illumination however it is a nice to have feature however works just fine without. This scope performs very similar to some of the scopes in the “Best Rifle Scope under $200” category and is built to last. I tested the UTG optic using a .223 and sighted it in at 100 yards but it would not hold zero! In my tests that's usually something that immediately knocks a reviewed scope off my a Tops list. It was proving to be a bust until I realized that I forgot to tighten down the lock rings around the vertical and horizontal sight adjustment knobs. So make sure you do this or it will be impossible to hold zero. Once I did that, it held zero just fine! Phew. I took it out coyote hunting at dusk and the illuminated reticle was awesome in the low light conditions. Usually illuminated reticles in this price range don't do very well, but this performed more than expected! The glass on the UTG Bug Buster was also very clear. It's plenty crisp for the average hunter or target shooter. For varmint hunting, this scope does a great job and holds point of aim very will when detached and stored. When I got the scope, I noticed that the reticle was tilted. Not a good first sign. But I returned it and the got a different one and it was fixed. If you receive one with a bad reticle, just return it and get a one without a tilted or rotated reticle. Overall, though durability could be in question (tested with 400 rounds) and though I got a faulty product on the first shipment, I felt like the customer service was great and got a replacement that was high quality. The UTG Bug Buster is a great scope for under 100. It performed better than expected and had clear glass and sighted in very well, holding zero through my review. In short, I highly recommend this to anyone who is looking for a mid-range target/varmint scope. You will have no problem using this over much more expensive scopes. Illuminated reticle was great for low light conditions. 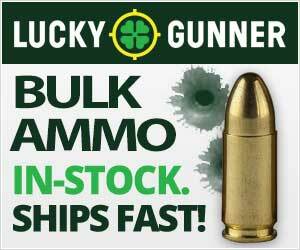 Great for mid range or varmint shooting. Although only $40, this scope is great for entry level shooters and varmint hunting with your .22 long rifle. I didn’t bother mounting this on my .30-06 because I don’t believe it will hold up with the recoil and it is not what I would recommend for larger calibre rifles but it provided a lot of fun on my little bush gun at 100 yards! Note that this product also comes with 1” mounting rings. I bought this scope for my son due to its size and weight and we mounted it on his pellet gun and let me tell you, he sighted it in and was shooting pop cans at 50 yards with no problem! The crosshairs are black so the scope will not be good for low light conditions as you will not be able to see the reticle. The mounts it comes with aren’t made of high quality, but do the job. Overall, a great scope for the price! With clarity all the way up to 9x magnification power, easy to use adjustments and the fact that it comes with mounts (though you may want to by other ones), along with the other things mentioned above helped me rank this scope in the Top 6 best rifle scopes under $100. In short, if you are looking for an inexpensive scope to fit on your .22 rifle or pellet gun, this is it. Great entry level scope. Holds zero even after continued use. Mounts aren’t made of high quality, consider buying different ones. Crosshairs hard to see in lowlight conditions. This great little rifle scope offers tremendous value and is built specifically for .22 rifles and rimfire rifles. The scope has a black matte finish and includes mounting rings, lens covers, and a lens cloth (I have had issues with the mounting rings, do yourself a favor and buy some quality rings). It is known for being easy to sight in and offers impressive image quality for the price. Okay, this optic is slightly more than $100 but I just had to mention it as a bonus to one of the best scopes under $100. There aren’t a ton of quality scope manufacturers who build scopes in this price range. Nikon is one of the few. So if you can afford a little more, I would encourage you to get the Nikon P-223​ optic. Compared to some of the cheaper scopes on this list, the Nikon is a lot clearer at a distance. Ideal for hunting and target shooting alike; dollar for dollar this scope is hard to beat. The zero-reset turret feature is an added bonus that makes zeroing the scope in the field a snap. This is a fixed magnification scope at 3x which is perfectly fine for most applications including target shooting and hunting under 200 yards. Thanks to a handful of technological breakthroughs we have a wide range of rifle scopes that are both under $100 and of reasonable quality. Obviously, when you buy a Leupold you know the type of quality you’re paying for and receiving. However, for many of us it’s not realistic to buy a scope that is worth as much (or more) as our firearm. Amazon can be a great place to find the best rifle scopes under $100 and with most of the manufactures offering a lifetime warranty, you can't go wrong. Fortunately for the average hunter or shooter there are plenty of options. I have reviewed most of the most popular rifle scopes for the money, however I would suggest checking out my other reviews such as the best rifle scope under $200 and the best rifle scope for your 17 HMR. If you own a .17 hmr or .22 and are looking for a decent sport shooting or hunting scope pick up a Bushnell Banner – you won’t be disappointed. If you’re a beginner who is looking for a scope that can handle a wide range of calibers at an affordable price, set your sight on the Simmons 22﻿ Mag. ​If you're more advanced and are looking for a rifle scope that is high in quality and very accurate and are willing to pay a little bit more, check out my other reviews such as the best rifle scope under $500 and the best rifle scope under $1,000. And finally, if you absolutely have to have a tactical scope with all the bells and whistles for your AR pick up a UTG/Leaper Bug Buster Scope. Thanks for reading best rifle scope under $100 in 2018 Top 5 List!